My knowledge and involvement in the community have proven invaluable in my representation of both Buyers and Sellers. Buyers purchase not only a home, but also a community. They want to learn as much as they can about an area in order to make an informed decision. My knowledge of the Southeast Florida area makes me better qualified to answer or find answers to buyers and sellers questions. Sellers represented by me benefit from both my marketing skills and community expertise because of my ability to share my knowledge with potential buyers. This can help interested buyers in making a decision to purchase a home with confidence. Live the American dream in Sunny South Florida! Enjoy the tropical weather all year long in the Yachting capital of the world. Home to over 40,000 pleasure crafts. Beautiful beaches, snorkeling, swimming, sailing, SCUBA and more. There is a lifestyle for everyone with museums, performing arts, art galleries, professional sports, amazing places to shop and limitless beaches. 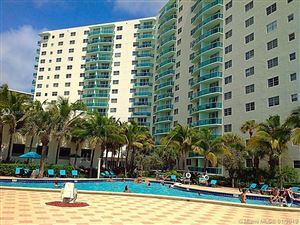 We have fabulous nightlife with Las Olas, Beach Place, and the Hollywood Broadwalk. The selection of top restaurants, night clubs, bars and hotspots is endless. Over 4000 restaurants, world class shopping, Hard Rock Casino, Gulfstream Park Racing and Casino and the worlds largest discount mall Sawgrass Mills. Fort Lauderdale is home to top international events including the Fort Lauderdale International Boat Show, Fort Lauderdale International Film Festival, the Air & Sea Show and the Winterfest Boat Parade. Over 30% of our residents are foreign born and speak over 100 different languages. We are a dynamic business center supporting a diverse range of industries including finance, manufacturing, real estate, insurance, aerospace and electronics. Port Everglades and Port of Miami have expanded to be able to accommodate the largest cruise ships in the world. W have over 285 public schools as well as numerous public and private universities and colleges. Real estate is all about location, location, location...so we're giving you the facts and info you need for any location you choose. Explore local market conditions, sales trends and more through our detailed yet easy to understand videos. Click here to view the current local Market Watch videos. Strong Supporter of our Charitable Foundation Coldwell Banker Cares including: American Cancer Society, Big Cat Rescue Corp., Easter Seals, Habitat for Humanity, Shriners, Special Olympics, YMCA and more..
"We have bought and sold many homes as we are both work for the Government. I wish all of our realtors were as conscientious as Cindy was with the sale of our last home. She made it a very smooth transition for us." "Cindy commands professionalism. I had my mother’s condo on the market for over 6 months with another agent and there was no activity whatsoever. When I met with Cindy, she made some suggestions for small improvements and we made a slight price change. The condo was in a contract in less than a month." "Cindy handled all of the details for us while we were out of the country including getting a roof leak repaired and we still closed on time. I would recommend any seller to hire her. She was calm and thorough and put us at ease even from far away. "